In this paper we will discuss the context management features of the new logic programming language DALI, aimed at defining agents and multi-agent systems. In particular, a DALI agent, which is capable of reactive and proactive behaviour, builds step-by-step her context. Context update is modelled by the novel concept of “evolutionary semantics”, where each context manipulation is interpreted as a program transformation step. We show that this kind of context-based agent language is well-suited for representing many significant commonsense reasoning examples. Research partially funded by MIUR 40% project Aggregate- and number-reasoning for computing: from decision algorithms to constraint programming with multisets, sets, and maps and by the Information Society Technologies programme of the European Commission, Future and Emerging Technologies under the IST-2001-37004 WASP project. Many thanks to Stefano Gentile, who has joined the DALI project, has cooperated to the implementation of DALI, has designed the language web site, and has helped and supported the authors in many ways. S. Costantini. Towards active logic programming. In A. Brogi and P. Hill, (eds. ), Proc. of 2nd International Works. 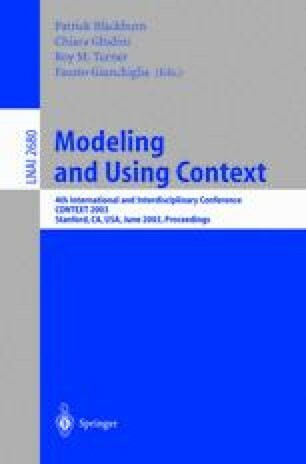 on Component-based Software Development in Computational Logic (COCL’99), PLI’99, Paris, France, September 1999. http://www.di.unipi.it/brogi/ResearchActivity/COCL99/proceedings/index.html. S. Costantini, S. Gentile, A. Tocchio. DALI home page: http://gentile.dm.univaq.it/dali/dali.htm.